If you have students struggling with dyslexia, check out the Dyslexia Help website (http://dyslexiahelp.umich.edu) published by the University of Michigan. 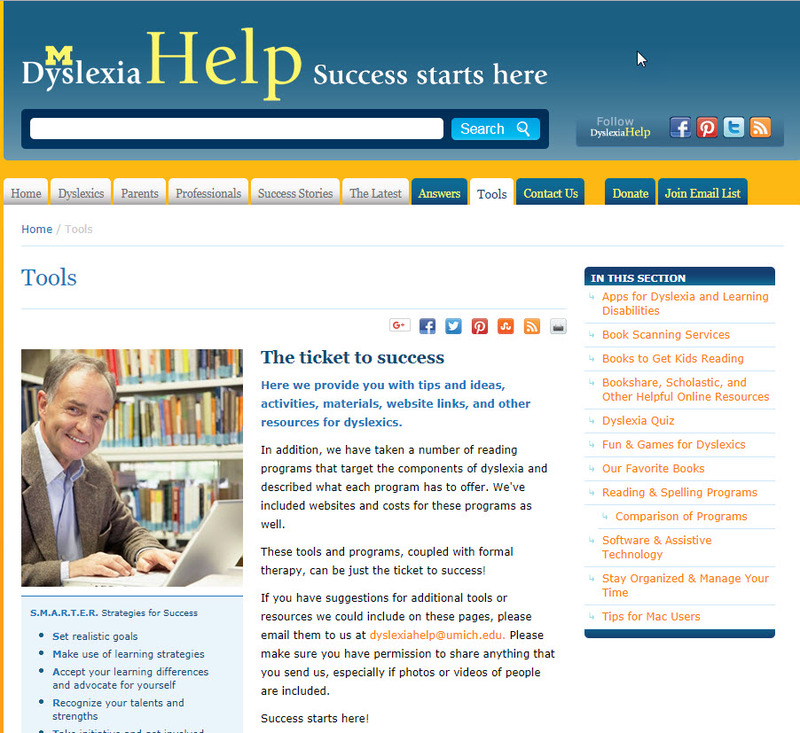 The Tools tab lists a wide variety of resources, such as apps for dyslexia and learning disabilities, book scanning services, fun and games for dyslexics, and much more, most of them for free. Tagged apps, dyslexia. Bookmark the permalink.